* Please note that a domain name registered in the קום. TLD registry is not the same as a domain name registered in the .com TLD registry. In addition, the holder of the registration of a domain name in the קום. TLD registry may not be the same as the holder of the registration of the same domain name in the .com TLD registry. Verisign is pleased to announce the launch of our phased rollout of קום. in Hebrew script. This new, Verisign-operated internationalized domain name (IDN) extension was created to help businesses and individuals connect with customers in their local language. The Sunrise Period for קום. is open from July 30, 2018 at 00:00:00 UTC through Sept. 4, 2018 at 23:59:59 UTC. Registering a קום. domain name can help companies build their credibility, grow their business and expand their customer base. A domain name in קום. can also be used to redirect users/potential customers to company social media or e-commerce pages. Moreover, registering a Hebrew domain name in קום. can help make business and individual website addresses easier to type and remember for native Hebrew speakers. Notably, a Verisign survey conducted in Israel in September 2017, comprised of 150 decision makers in small and medium-sized businesses with up to 30 employees, found that 69 percent of respondents would register a domain name that's fully in Hebrew if they could. Prospective registrants who wish to register a domain name during the Sunrise Period for קום. must have a valid Signed Mark Data (SMD) file from ICANN's Trademark Clearinghouse at the time of registration. During the Sunrise Period, these prospective registrants will be able to register each available second-level domain name (SLDN) in קום., that is an exact match of each SLDN permitted by their SMD file(s). All registrations during the Sunrise Period will be processed on a first-come, first-served basis. Following the Sunrise Period, there will be a Priority Access Program Period for קום. — an exclusive registration period during which eligible .com registrants will have the exclusive right to register the SLDN in קום. that is an exact match of their existing SLDN registered in .com, provided that the registrant registers the matching SLDN in קום. through the registrar that is the registrar-of-record for the registrant's existing SLDN in .com. All registrations during the Priority Access Program Period for קום. are subject to availability and the applicable registry policies. A Landrush Program Period will follow the Priority Access Program Period for קום. and will be open to all potential registrants to register their domain names on a first-come, first-served basis in advance of the General Registration Period for an additional fee. Landrush will last approximately five weeks and will be followed by the General Registration Period. Both IDN and ASCII SLDNs may be registered in קום. 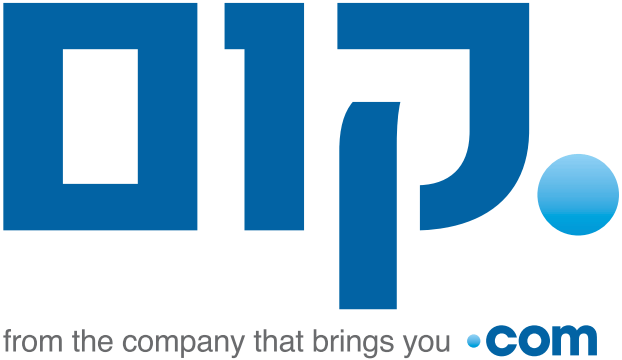 For more information about קום., Verisign's new, Hebrew generic top-level domain, click here. ** The information in this blog post regarding the registration periods for קום., including the corresponding dates, is for general information purposes only and is subject to change. See the most current registration periods, corresponding dates and other detailed information for קום. at https://newgtlds.icann.org/en/program-status/sunrise-claims-periods/xn--9dbq2a. Local Time: Thursday, April 25, 2019 11:45 AM PDT – Page Load: 0.2747 Sec.